· Filled with best quality conjugate fibre which makes it soft and extremely comfortable. It offers a complete blend of comfort and relaxation. · Ergonomically designed to fit your neck and shoulders. · This product is ideal for travel, home or office, would also make a great gift for a loved one or family member. 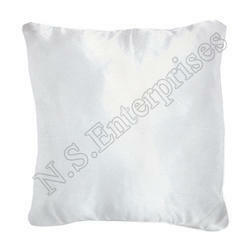 First time in india SUBLIMATION JUTE CUSHION. Printing area : 8" X 8"
Weight : 400 gm. Approx. 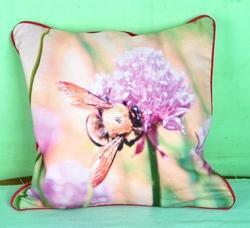 Get your memories on Beautiful Fur Cushions.